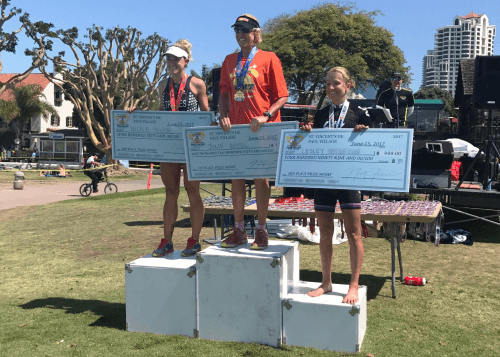 On June 25th, hundreds of athletes united to end homelessness in the San Diego International Triathlon. As a USAT Sanctioned Triathlon and Aquabike, the 35th Annual Father Joe’s Villages’ San Diego International Triathlon is serious business. On Sunday, June 25, 2017, hundreds of athletes arrived at the Spanish Landing Park before 6:30 a.m. to enter the chilly water of the San Diego Bay. Braving the 64-68 degree water, these athletes competed in the first leg of their three physical challenges: the 500-1,000 meter swim. However, this was just the beginning of their journey. Next, the athletes hopped on their bikes and moved on to phase two of the race: a 20-30k bike ride. Participants pedaled along a mountainous path to the Cabrillo National Monument and back. During this section, athletes encountered beautiful seaside views and challenging elevation gains before arriving back at Spanish Landing Park before 9:30 am. By the end of the day, over 1,120 participants swam, ran and biked up to 41k to complete the triathlon. 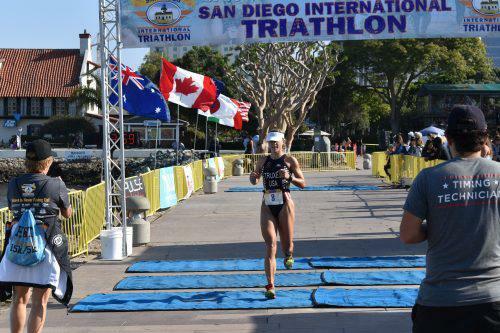 At 10 a.m., race officials announced the winners of the San Diego International Triathlon. Those competing in the Pro/Elite Division won up to $1,250 in the International Pro/Elite Prize Purse. Meanwhile, amateur triathletes earned the satisfaction of proving their incredible athletic ability. In addition to completing this amazing achievement, the triathletes helped the event raise over $150,000 in registrations alone. All proceeds from the event benefit Father Joe’s Villages’ efforts to make all of San Diego shine. While overcoming personal athletic challenges, participants also helped our neighbors on their journey to overcome homelessness. 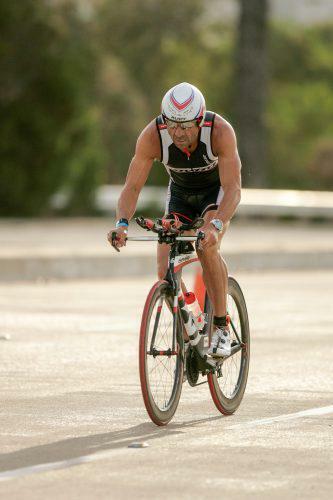 This race is one of the longest standing triathlons in the country. It’s amazing to see these athletes come out year after year to challenge themselves and give back to the San Diego community. If you’re interested in participating in the San Diego International Triathlon, visit www.kozevents.com for the latest updates. The triathlon occurs annually in June and usually sells out by the event weekend so sign-up as soon as registration opens. Father Joe’s Villages thanks all of the triathletes for supporting our mission to end homelessness in San Diego.